Kai Warner (Narrabeen, NSW) - on his way to posting an excellent 17.00 heat total. The final Subway® Surf Series Pro Junior for 2016 kicked off today with competitors getting the opportunity to shine in playful two-foot righthanders. Kai Warner (Narrabeen, NSW) put an exclamation mark on a great day of surfing, scoring a near-perfect 9.00 for a series of explosive forehand turns in the first round of competition. Warner attributed his solid performance to the similar waves he surfs regularly at his local Narrabeen Beach. Warner backed up his score with another excellent 8.00 wave score, taking his accumulative heat total to 17.00 (out of a possible 20 points). Kehu Butler (NZL) mirrored Warner’s score, notching up a 17.00 heat total in his first round exchange. The lightening fast New Zealander performed an array of powerful turns to post the score, which left his closest rival chasing a two-wave combination of scores to usurp his lead. After finishing in the runner-up spot at the recent Subway® Surf Series Pro Junior at Wollongong, Luke Wrice (Coledale, NSW) continued to excite the judges and spectators, performing an eclectic combination of aerials and critical turns. Wrice stayed selective throughout the heat to post a 16.00 two-wave heat total with his closest rival, Jackson Roberts (Bateau Bay, NSW) unable to claw himself out of a combination situation. Paris Whittaker (Cronulla, NSW) bagged an impressive victory for the locals, taking out her opening exchange. In the declining swell, Whittaker posted a respectable 13.00 heat total to keep her opposition at arms length. Runner-up Bella Wilton remained in contention over the course of the heat, posting a 7.00 wave score, but was unable to close the 2.15 gap against Whittaker. Surfers from Australia, Brazil and New Zealand will duke it out for a JQS title and runner-up status, with 64 males and 24 females set to participate in the event. After taking out three Subway® Surf Series Pro Junior events and the NIB Pro Junior at Merewether, Macy Callaghan (Avoca, NSW) is sitting in the box seat to claim the 2016 WSL Australasian JQS title at Cronulla; a goal she set out to achieve at the beginning of the year. Macy will be joined in the draw by fellow 2016 Subway® Surf Series standouts Alyssa Lock (Tweed Heads, NSW), Jaleesa Vincent (Coolum, Qld) and Kiara Meredith (Barrack Heights, NSW). With Ethan Ewing having recently claimed the overall title at Wollongong, Harley Ross-Webster (Curl Curl, NSW) will be trying to claim his second title of the series at Cronulla and hold onto the runner-up position on the WSL JQS rankings, following his victory at Wollongong. Event entrants joining Ross-Webster in the top ten on the WSL JQS Australasia rankings include: Reef Heazlewood (Moffat Beach, QLD), Quinn Bruce (Coolangatta, Qld), Luke Wrice (Coledale, NSW), Sandon Whittaker (Avoca, NSW), Kael Walsh (Yallingup, WA), Zac Wightman (Lennox Head, NSW), Billy Harrison (Barwon Heads, Vic) and Kai Warner (Narrabeen, NSW). The WSL sanctioned Subway® Pro Junior events, which includes 18 and under men’s and women’s divisions, form part of the 2016 WSL Australasian Junior Qualifying Series (JQS), providing the winning athletes with an opportunity to win a coveted world title, at the WSL World Junior Championships in early 2017. The Subway® Surf Series is proudly supported by WSL, Surfing NSW, Surfing Australia and Billabong. The Subway® Surf Series was created to fill a competition void which exists at a crucial point in the development of Australia’s leading junior surfers. It represents an important link in the ‘pathway to the podium’ developed by Surfing Australia, with surfers now able to progress from the Weet-Bix SurfGroms program, onto the Wahu Surfer Groms Comps, into the Subway® Surf Series, followed by the Original Source Australian Boardriders Battle. 2012 WSL Men’s World Champion Joel Parkinson and WSL World Tour female competitor Laura Enever are ambassadors for the Subway® Surf Series, attending events and mentoring junior surfers. Kyuss King at Cronulla, April 30, 2016. 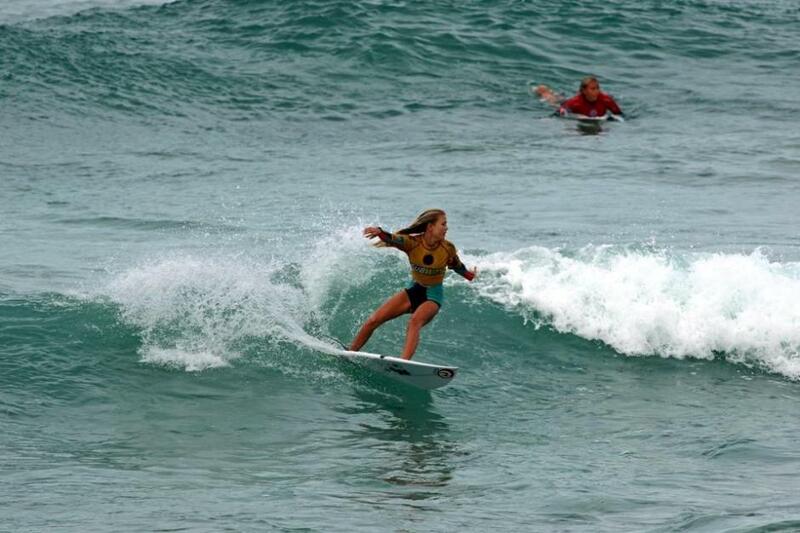 BUTLER AND CALLAGHAN TAKE TOP HONOURS AT THE SUBWAY SURF SERIES PRO JUNIOR AT CRONULLA. Competitors in the final Subway® Surf Series Pro Junior for 2016, battled through a day of minuscule waves at North Cronulla as Macy Callaghan (Avoca, NSW) claimed the World Surf League (WSL) Australasian Junior Qualifying Series (JQS) title, as well as the Womens event division, while Kehu Butler (NZL) took the win in the Mens division. Macy Callaghan (Avoca, NSW) put the icing on the cake in what has been a stellar beginning to 2016, claiming the WSL Australian JQS Championship, as well as her fifth Pro Junior event for the year. In a wave-starved final, Callaghan managed to make the most of the limited opportunities, posting a nine-point ride, which left fellow finalist Kobie Enright (Tweed Heads, NSW) chasing an elusive 7.51 wave score that never eventuated. As a result, Macy also earned her position into the upcoming World Junior Titles. After bagging a handful of impressive results over the course of the 2016 WSL Australasian JQS Series, Kobie Enright (Tweed Heads, NSW) finished her year with a runner-up result. After posting a series of impressive results over the course of the event, the far north coast surfer was unable to find any score of substance in the final and had to settle for second position behind Callaghan. 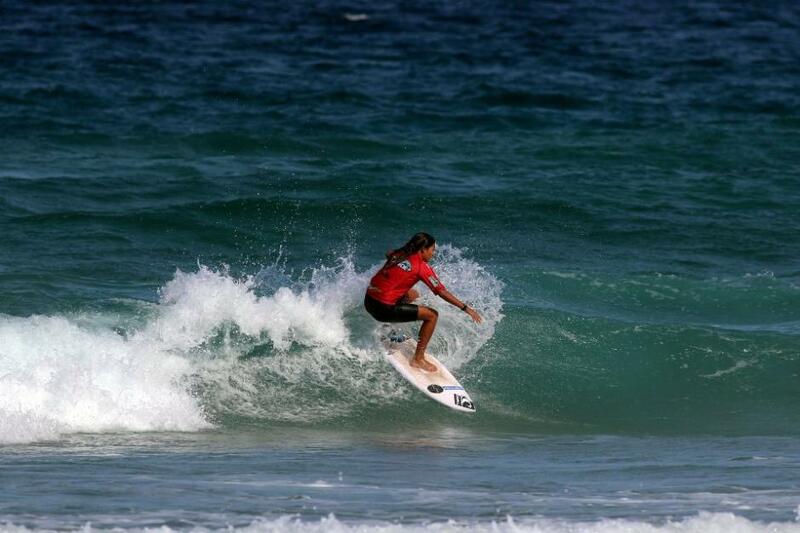 Kehu Butler (NZL) made his trans-Tasman journey worthwhile taking out the Junior Mens division. The powerful natural-footer made light work of the weak conditions, executing a variety of technically sound arcs and snaps. After claiming victory in the final, Butler was greeted by family members who performed the traditional Maori haka dance in celebration of the win. Sandon Whittaker (Avoca, NSW) nearly completed the double header victory for the Central Coast, holding down the lead for a solid portion of the Junior Mens final, however was pipped by Butler who managed to find waves with better scoring potential. The runner-up finish is Whittaker’s best result to date in a Pro Junior event and puts him within striking distance of qualifying for the World Junior Titles. Reports Surf NSW - All photos by Ethan Smith / Surfing NSW, 2016.